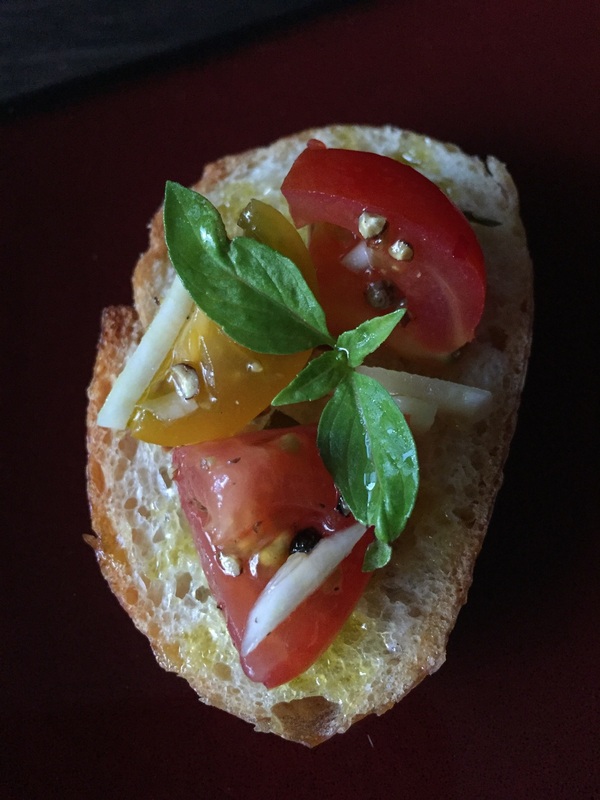 A simple snack or appetizer using 4 amazing ingredients: tomatoes, garlic, basil & olive oil! 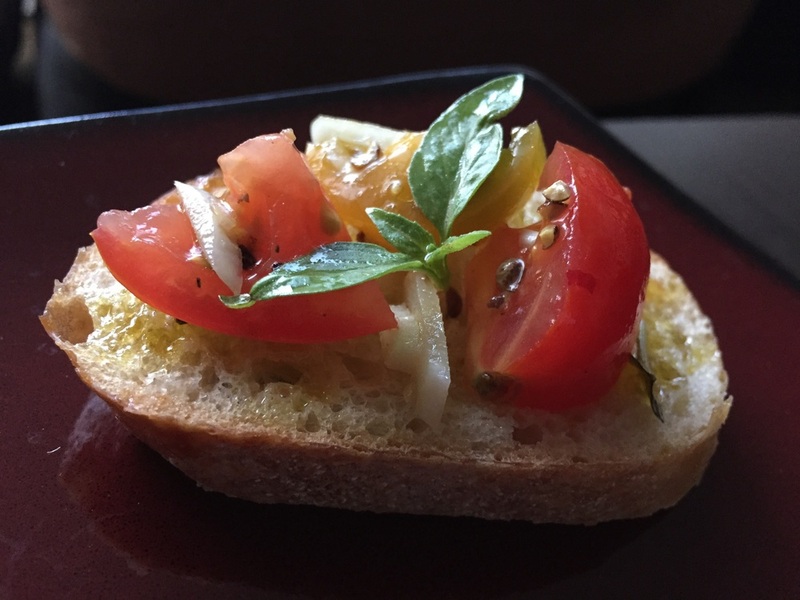 I love making bruschetta during the summer using my homegrown basil leaves & my dad's homegrown tomatoes! Recipe below. Dice the tomatoes or just chop them into bite-sized pieces. Put them in a bowl. Add the chopped basil & garlic. drizzle the olive oil over the mixture then sprinkle on the salt & black pepper. Cover the bowl with clear plastic wrap and refrigerate for 1 hour so the flavors incorporate. Spoon the mixture onto piece of lightly toasted baguette & enjoy!